Don’t like Trump or Clinton? Support Paul Ryan and GOP House, so they can play defense. 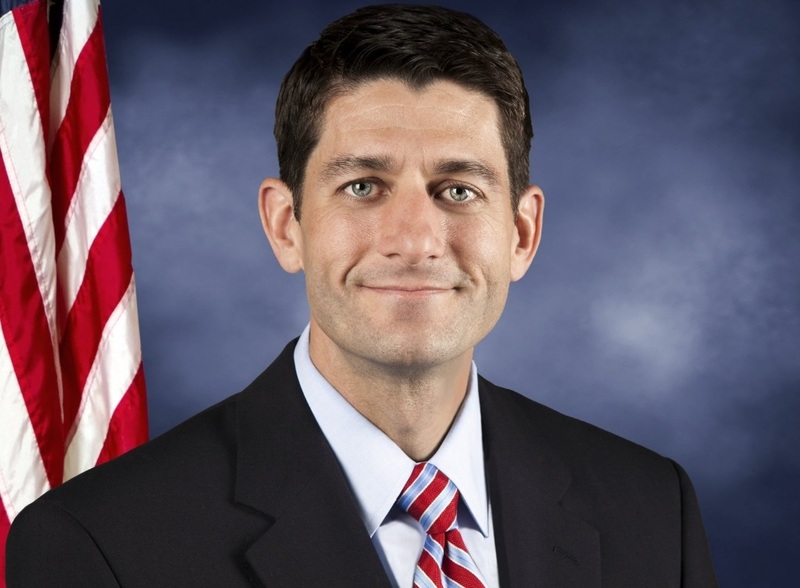 In Paul Ryan, we trust. That’s my answer to the many people I’ve talked with who are homeless in the coming November election. Many Republicans don’t want to vote for Donald Trump, who they see as a repudiation of the value structure they have lived their lives around. But they can’t see voting for Hillary Clinton, who they view as having both feet in the power and money trough and who will tip the balance on the U.S. Supreme Court with three likely appointments. I have no answer for them in the presidential races. Some say tell me they might cast their ballots for a candidate from a fringe party. But there is one solution. Vote for gridlock. If Speaker Paul Ryan and the GOP hold onto their arm of Congress, with the best bet being the House, he and they can block legislation from either President Clinton or President Trump. The GOP may lose control of the U.S. Senate if Trump loses in a landslide. Wisconsin’s Sen. Ron Johnson could be part of the collateral damage from a Trump loss. He is trailing consistently in the polls to Russ Feingold, the liberal Democrat who was his predecessor. Gridlock could work in two directions. Clinton has run to left, so you can expect her, for example, to recognize reality on the failed experiment with ObamaCare and go for “the public option ” (translate: a government takeover of the health care industry). Ryan and a GOP-controlled House could put the skids on her trip down that road to federal bankruptcy. And a GOP-led House could mitigate damage from other initiatives taking the country more to an entitlement society without regard to ways and means. Clinton’s fiscal policies are centrist, but they don’t jibe with the costs of her social agenda. Like her husband, she is probably a pro-growth Democrat underneath, but she doesn’t talk about it on the stump. Even the Lord doesn’t know what Trump would come up with as President. Trump doesn’t know. His positions change by the hour. He will be entertaining—for a while. But his schtick will get old in a hurry as problems beg for solutions beyond policy blurts. Ryan looks to have the fortitude to not get dragged into Reality TV. It’s one thing for Ryan as a party leader to tread a high wire act during a presidential campaign when loyalty to party weighs heavily. While reticent, he supports Trump on the surface. It is another matter for Ryan to deal with a president as a leader of a co-equal branch of power under the constitution. A President Trump would surely try to roll Congress. It’s in his DNA to bully his way to where he wants to go. President Obama has blazed the trail with his over-reach of the use of executive power to circumvent the will of Congress, not that Trump needs or regards precedent. Ryan knows, as we all know, that the way to deal with a bully is to punch him in the nose. We learned it on the playground, where Trump learned many of his tactics. Ryan, who has a safe seat in November, can also be counted on to protect the prerogatives of the legislative branch as a matter of institutional integrity. He won’t get rolled. A President Clinton would also be rough tough in the clinches. Local Democrats have told me she also likes to muscle adversaries. She does it more covertly than Trump, but she is just as likely to bend the rules to do things her way. Witness the circumvention of the laws and regulations with her private e-mail server. In short, both candidates believe rules and regulations are for other people. Moreover, they can be counted on to use their powers to target adversaries. Trump, for instance, has on a long history of using the legal system to attack business adversaries. There will be a need for a counter—balance at the highest levels of American government. We in Wisconsin know Paul Ryan. We may not agree with him on all issues. But he has been a principled politician for a long time. Track records count for something. So write your checks and knock on doors for a Ryan-led GOP house. If ever here was a time when checks and balances will be needed, the next four years looks like it. The prospects for a government under President Trump or President Clinton are exactly what our founding fathers feared and why they created three co-equal branches of government. At the end of the day, it is Congress that can put the brakes on over-reach by the other two branches, either by a president or a partisan court going too far from the American mainstream. Congressmen, especially House members, do retail politics as they run for office every two years. They are closest to the people. They are in the mainstream. Ergo, vote for gridlock. That means keeping Paul Ryan as Speaker of the House. This is a total joke. It reads like a press release from Paul Ryan’s office. It is terribly written, seems to contradict itself at times, and is basically conservative propaganda. What is Ryan’s plan to replace Obamacare (not ObamaCare)? Speaking of Paul Ryan’s track record, he has had three incredibly minor bills passed in 17 years. I don’t think he’s principled at all. He calls efforts to pass gun legislation stunts when he pretended to wash clean dishes in a food pantry to make himself look good. This is one of the worst stories I have ever read here. Also John, if Paul Ryan is such a man of integrity and principle, why the hell is he supporting Donald Trump? Yes this is a joke. Ryan, unfortunately my representative in Congress, has shown such convoluted, absurd rationality for his support of Trump as a candidate, that all credibility he may have had, is gone. Ryan of the party that constantly complains, and with some reason, of Obama’s overreach and use of executive orders, now somehow thinks that a President who knows nothing of the constitution, and has proposed multiple acts that would violate it, can somehow be reined in but the most ineffective Congress in history. Bunk! In Paul Ryan, we trust we will have bigger deficits, few if any taxes on the rich, less safety net, and less government. There, I believe I cleared up the trust issue. BTW, I’m all for lower deficits and reform. I just don’t see how less government is the answer. Better and more efficient government is the answer. I’m not sure 5 investigations into an email server constitutes “less government”. On the flip side, they did reduce the size of the Supreme Court by 10%. Absolutely not. Th executive order crap is total ignorant B.S. Your mistake is lending any credibility to something that came out of a Republican politician’s mouth. Many of your comments are right on, and this OP-ED is a joke. Paul Ryan said his call to public service came about after reading Ayn Rand whose philosophy is first and foremost look out for yourself (which he consistently does). In public service isn’t your first and foremost duty to look out for the people, and then yourself? His reasons for being in public office seems to me to be an oxymoron. The only reason he is supporting Trump is because Trump will sign all of his hurtful bills that will keep huge tax breaks and special loopholes open for billionaires and giant corporations and gut the rules on Wall Street. Then he will say there’s no money for Social Security, for Medicare, for education, or anything else that will help struggling working families. That’s Ryan’s agenda. Ryan is always making good sounding proposals with no details and they never go anywhere. He’s been doing that for 18 years just to keep his job. If any of us just did the basics at our job and didn’t really produce anything, how long do you think we would keep our jobs. Not 18 years, and that’s for sure. Please rewrite that sentence. I think I know what you are saying, but President Clinton or Trump belong to the Executive branch and do not themselves introduce legislation. This is messy writing, especially when so many people already don’t understand that we’re not electing a king/queen. And make no mistake: Ryan will work very hard to block Clinton at every turn but you can bet he and Trump will find quite a bit of common ground. It’s not an equal comparison. Suggesting that voters choose a candidate based on that candidate’s ability to gum up the works is an insult to the gift we’ve been given. There’s a myth that both sides are equally responsible for gridlock. But when one side is literally routing for it, that position simply isn’t tenable. Paul Ryan is about as principled as a wharf rat. Did Torinus not hear that Ryan is giving a speech at the upcoming GOP convention, when what few Republicans with principles are avoiding Cleveland like the plague?? Ryan is a reliable servant boy for the corporate class, who can always be counted on to vote for all legislation that makes the billionaires even wealthier. He has tried to hide his true extreme capitalist views by edging away from Ann Rand, and doing photo ops in soup kitchens. The reality is that he is the same radical right winger that stood next to George Bush in 2006 and agreed to be the point man for privatizing social security in the House, while then Senator Norm Coleman would carry the load in the Senate. Does Torinus forget that Ryan did not even carry his home town of Janesville when he was the VP candidate with Mitt Romney in 2012? He is a career politician who always is able to outspend his primary and general election opponents at least 10 to 1.With the gerrymandered district he has plus the big money boys behind him, you could stick a three eyed pig on the ticket and it would win his house seat if it had his advantages. Kondracke has a better reason to vote for Ryan as a write-in for president. You realize a full half of those people polled would vote for Trump. So forgive me if I don’t value their opinion. A third party is not viable in a majoritian system. It’s like rolling a million dice and getting half ones. We’d need to switch to single-transferable vote (STV) ballots and mixed-member proportional districts. I wish Mr. Torinus (whom I respect) would do a similar column advocating votes for Democrats to the state legislature, for gridlock in Madison. One-party rule there has been a disaster for education, the environment and ethics. Somebody has to check Scott Walker before he does more damage. I guess in point of comparison, guess we don’t know what one-party rule by Democrats would be like because Republicans gerrymandered their way into a majority in US Congress (despite the popular vote being the other way), and have been actively preventing anything from getting done ever sense. He always seemed like a fairly reasonable guy Bill, until this column, which is just terrible and seems like it was written by Christian Schneider. Ruth Bader Ginsburg knows, as we all know, that the way to deal with a bully is to punch him in the nose. We learned it on the playground, where Trump learned many of his tactics.